The top destinations in Niger may not be available to you at this moment because of an ongoing military coup. But they should not be buried and forgotten as far as African highlights are concerned. Niger is a beautiful country on the western end of the continent as it is fostered by the Niger River. And although it is landlocked by nations like Nigeria, Benin, Mali, Burkina Faso, Libya, Algeria and Chad, it still offers quite a number of amazing points of interest that make it a worthwhile pit stop in peace times. One interesting thing people should take note about Niger is that 80% of its land area is covered by the Sahara desert. But you should not judge the tourist spots you’re bound to visit solely using this trivia. Niger has a lot of thriving areas for you to explore. Among them is the W National Park, which is a UNESCO World Heritage Site. This park actually stretches out to two other countries – Burkina Faso and Benin – as it covers 10,000 square kilometers. And it serves as home to large mammals, which include cheetahs, elephants, baboons, buffaloes, hippos, lions, and leopards, to name a few. It is a protected reserve so human habitation is not allowed, not to mention poaching. But you can count on tour guides to be readily available if you do desire to go on a safari between February to late May, when the season is ideal for it. If you are wondering where are the giraffes in Niger, then you’ll have to travel to Koure on the southwestern portion as this is where West Africa’s last herd of giraffes reside. 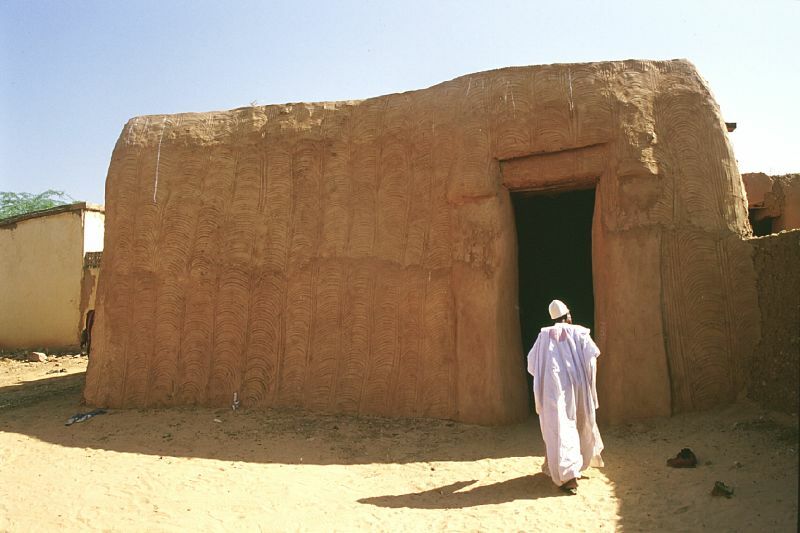 If you wish for a more cultured retreat, you could head out to top destinations in Niger like the historic city of Agadez, which was founded back in the 11th century by the Mali empire and used as one of the major stops of Saharan trade caravans. Though it currently is off limits because of the Tuareg rebellion, in earlier times, tourist from all around the world were able to enjoy numerous Islam inspired architecture such as the Mosque of Agadez and the Palace of the Sultan. Zinder is also another recommendable destination if you’re into getting acquainted with local heritage since it is teeming with colorful craft markets as well as unique and notable infrastructures. Of course, it wouldn’t be a complete travel experience if you do not spend a day in Niamey, which is also one of the top destinations in Niger. As its capital, this metropolis functions as the cultural, administrative and economic center of the republic. So you’re bound to find a bounty of facilities complementary to tourism intents. Some of which are open-air markets, upscale shops, recreational depots as well as fine buildings such as the Musee National and Zoo, the Grand Mosque and Cathedral de Maorey.